But he left darkness too. And so it shall ever be. On June 21, we have 16 hours 41 minutes of light in Oxford, England. But we also have 7 hours 19 minutes of darkness. On December 22, however, we have 16 hours 18 minutes of darkness, but we still have 7 hours 42 minutes of daylight. Some darkness on the sunniest day; some sunshine on the darkest day. And so it always is, throughout our lives. John drapes himself on us, heart flooded with love. On the other side, there’s Judas, serpent-heart despite his kiss. But eleven apostles out of twelve proved true. That is life too, and life is good. Me, I am still living in summer, tasting the goodness of the Lord in the land of the living. I am healthy enough; my family is healthy. My children are doing well, academically, socially and spiritually, and are happy. We are paying our bills to date. I am enjoying my work. I am happy. I am happy. But I am also allowing myself to slow down, and feel the sadness that God left in the beginning. It has been an intense month. Jake, our eleven year old border collie, had a vast growth in his abdomen, and inoperable tumours in his liver which makes it uncomfortable to eat. So he stopped. How dreadful to watch a dog waste away. Finally, he could no longer walk, and we put him to sleep yesterday. The vet said it was definitely the right thing to do. I have been feeling tired, and my blood work showed severe anaemia. So I had a colonoscopy, which showed a polyp. I am hoping for minimal surgery…but I must walk on the waters,, holding Jesus’ hand through that. We have lost our wonderful cleaner, which has thrown us. He helped with everything—housesitting, chauffeuring kids, picking up purchases, garden work, painting, car cleaning, whatever needed to be done. An almost irreplaceable Man Friday. Financially, we are still recovering from the burglary in February, of our car and electronics etc. We were underinsured, and so we have to put our nose to the grindstone to replace what we had to “borrow” from savings (earmarked for other bills) so as to replace the stolen things. Bending beneath the weight of His wind and mercy, as John Mark Macmillan writes. Couldn’t God have prevented all these griefs and hassles? I think, crossly. In the Old Testament Book of Job, Job lost everything– children, wealth, health and the respect of his friends. “Does it please you to oppress me?” he asks God (Job 10:3). But Job insists he is guilty of no spectacular secret sin, “Let the Almighty answer me,” he demands (Job 31:35). And God does. In the infuriating way only the Almighty can get away with, he answers Job in a series of questions. “Can you bind the beautiful Pleaides? God has put together this vast cosmos of sea and stars and snow, of lightning and lions and leviathans, ostriches, ospreys and eagles. Job, a very minor character in the complex epic of the universe, does not have the perspective to contend with him, God suggests. God exists on another plane altogether, able to see the end from the beginning, to contain all things in his mind, to see the whole complex canvas of human existence at a single glance, and the glorious end of each contorted plot twist in our lives. While Job sees but one page, God sees the entire plot. ‘What are you making?’ the prophet Isaiah writes. God is God. He chooses the plot of our lives, chooses the role we are to play in the cosmic drama. It is our task to play it well. Job repents of his turbulent questions. When God created a pristine world that he could have shaped any way, he deliberately left a bit of darkness too. For the same reason a story-teller leaves a bit of darkness in his stories perhaps. It forces the story to a better, more beautiful, more interesting conclusion. Cinderella had to sleep among the cinders; Sleeping Beauty had to prick her thumb on the spindle; the shard of ice had to enter Kay’s heart for us to have a story. Artists instinctively know that they must frame brightness with darkness. Possibly God like Van Gogh found as much beauty in a starry night as a sunrise. Winter strengthens the root systems of trees, sending them delving deep for nourishment. Without it, bulbs would not burst into blossom. Eternal summer can take a toll on mental health; in Greenland suicides are more common in summer. Seasonal Affective Disorder strikes in the summer as well as in winter. If we had eternal daylight, eternal summer, unblemished happiness, we would not value them quite as much. A period of just-enough makes us appreciate how money can cushion and enrich life; a period of loneliness makes friendship precious; a period of failure sweetens success. God left darkness and winter as facts of life. So what do we do when life does not go the way we want it to? We fling up our hands and accept it, light as well as darkness, good as well as evil, trusting the one who sends both, light that shines in winter, the selah of darkness in summer. We accept it, with thankfulness that our world with all its darkness is still under God’s protection. The world tilts towards good as it tilts towards the sun. Because, as we are told in the second line of Genesis, while all the world was darkness, the spirit of God still hovered over the water. And so we have hope. I am in a situation of chaos, stress and high emotion, and over me the Spirit hovers. My dog is dying, and I am overwhelmed with sadness watching him, and over me the spirit hovers. I want my anaemia to go and that polyp to be benign, and over me the spirit hovers. Life will bring me light and goodness and joy, but if it presents challenges, I know this for sure: Over me the spirit hovers, always hovers. And so I can face the future. And so I can smile. Ah the Spirit’s warm breast, his bright wings. So much love surrounding us, whether we feel it or not. And I really do believe, what Paul wrote to the Romans: In all things God works for the good of those who love him (Romans 8:28) Because he is super-duper powerful and creative, and so he can. Because he is good, and so he will. Have you seen the light shine in the darkness? Have you experienced the brooding comfort of the Holy Spirit in the midst of the darkness? This post is kindly sponsored by How to up your health game. Oh they did; they sure did, first throwing him into a disused well, then uncaringly selling him on for thirty shekels of silver to the Ishmaelites, not caring what became of him. And what came out of his experience of betrayal, slavery, false accusation, and imprisonment was elevation—promotion—influence–the ability to save many lives. I used to feel stressed and a bit hopeless if I had enemies, if I thought there were people with inveterate animosity, jealousy, competitiveness, or malice towards me, who would block me, who might slander me. The thought of such people still does not make my heart sing! But they are a fact of life. “Some are jealous of your face. Some are jealous of your lace. And some will be jealous of your grace,” as RT Kendall writes in The Anointing. I sigh if I realize someone is reflexively blocking me or my ideas, putting in a bad word for me, but I am not afraid. I do not fear them. Because there are always two stories going on in our lives: the plot we see, and the story God is still writing. There is the story people think they are forcing onto your life–in which you may miss the chance to lead, speak, get the prize, the invitation, because someone feels threatened by you, is jealous of you, or just plain dislikes you. Often you are unaware of these machinations, and that’s best. When you do know, you wring your hands with a sense of loss. You were not meant to lead at that time. You were meant to quietly follow the One. You were not meant to speak at that time. You were meant to listen. Sure, it will take you longer to achieve your heart’s desire. The Spirit is taking you on the scenic route. You are in the desert, where all voices are silent, but the voice of God; where is no trophy but his companionship; no wine but his spirit; where your progress is not measurable, and, anyway, there’s no one to praise it. Why, even your prayers aren’t working. Every avenue of showing off is blocked. Welcome to the desert, fellow pilgrim, where God himself blocks you. You say: “See here, God, I have wasted my life. Look at me, mid-life and achievement-poor. Remember, God, those years I was promising; remember that award for a writer of unusual promise? Why I was in my twenties then. The snazzy university, the snazzy prizes, the early publications, the blushing peach down of promise, remember? Well, I’ve failed, and you’ve failed me; we’ve failed together, you and I.
Yeah, you really haven’t managed my life too well, Lord, and neither have I. Let’s just go eat some worms. How can you make up to me, God for the years when I wanted to build much, but instead built little? You have behaved rather badly towards me, my God, my friend. You have let me down. You are my friend, and so I forgive you, but I am sad about this. I am. But if I love anyone, I love you. So yes, I will follow you because, you’ve sure ruined my appetite for following other paths of glory. I believe you can restore the years the locusts have eaten. The prophet Joel said so, and Christians have attested to it. But I don’t see how. Jesus, let’s be honest here, I sometimes feel as if nothing can compensate me for those wasted years, the years in Joseph’s dungeon. Though they were what you gave me, and I accept them because I love and trust you. I accept them from your hands in trust as I accept the full years of your goodness. “Child, child, friend, beloved, Anita, what you wanted was a lesser good, and so I withheld it. You saw the success of your writer friends—their whirl of book readings, teaching gigs, speaking gigs, lectures, prizes, prolific writing, book contracts, money, fame, fascinating friends, travel. All the trappings of a career. And you wanted it too. And I knew you wanted it. But I also knew you better than you knew yourself. Don’t make that face. I truly do. You were not ready for the busyness of travel, deadlines, speaking, teaching, crises, midnight oil. Fame and glory–what made you think it would make you happy? I knew it would not. It would not. Rushing to planes, trains and automobiles has never made you happy. Rush has never makes you happy, or busyness, or deadlines. You love quiet unscheduled days at home, or in your garden. But I promise you this: You will write the books you want to write. You will not die before your pen has gleaned your teeming brain. All the things I kept from you, I kept not for your harm, but that you might find it in my arms. You are sad that success came later than you wanted it, but trust me. The bright lights of the big cities would have obscured me. The noise would have silenced my whisper. A hammer had to be taken to all those idols. There had to be a gotterdamerung, a ragnarok. You wanted to be Ms. Famous Writer, to dazzle the world with your creativity. You wanted fame, glory, money, success, as you saw your friends get it. I gave you quietness, I wooed you to the desert, and there I showed you my love. You had but one shot at investing in your children. I slowed down your career so you could teach them all you had to teach them. And could your marriage have withstood the rush in peace, not pieces? Did you want to be Ms. Divorced Famous Writer? You did not. You have reached mid life with a full heart and full spirit, into which I have poured and poured and poured myself and my words. And now it is time to write. “But then there would not have been room for me. I had to pry your fingers from other things, so they would clasp me. Had to silence other sounds, so you could hear me. I gave you not what you thought you wanted, but what you love, quiet and peace and silence. And in the quietness of your country garden, I shaped you, I formed you, I made you into a woman of integrity, a woman aligned with me, a woman I can trust. You sometimes feel you’ve wasted your life. But child, you’ve given your life to me. It’s now my story, not yours. I am the author, not you. Accept the plot twist I chose. Forgive me, as I forgive you. It was not time before. It’s time now. It’s time. Lord, I accept the plot you chose. I accept my years in the wilderness. I accept your judgement that they were necessary. I forgive you. And I will go forward in joy, in alignment with you, your joy filling my heart. Open your hands wide, and I will fill them. Your heart has been reformed in the silent years. Now I know, and you know, that while your hands are full of my blessings, your eyes will be on me and your heart will be full of me. Have you experienced a period of great silence? Have you experienced God more deeply as a result? This post is kindly sponsored by mordocrosswords.com. Thank you for your support. And Jacob worshipped as he leaned on the top of his staff (Gen. 47:31). And so it ends, Jacob’s long busy life of intrigue and wrestling. Ever has he schemed, manipulated and deceived to get the blessings which God intended to give him even before he was born (Gen 25:23). And his intrigues backfire–disastrously. Quite possibly, they slow down the destiny God had always intended for him. Again and again–as a consequence of his deceitfulness, and his attempts to look after himself–he’s on the road, in flight from Esau, from Laban, from Esau again. Exploiting Esau’s desperate hunger, he demands his inheritance in exchange for a bowl of lentils. Esau now hates him. 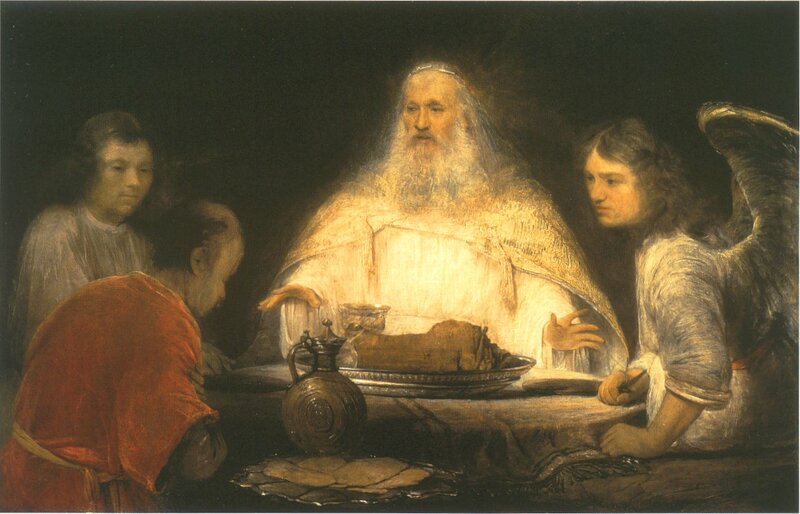 Exploiting his blind father, he pretends to be Esau, stealing his blessing. Now Esau’s resolved to murder him and Jacob’s on the road (Gen. 27:41). Never again will he see the mother who adored him. He flees to a father-in-law fully as deceitful as he was himself. Works seven years to be given a near-sighted bride he never wanted. Has his wages changed seven times. Still, he attempts to look after himself, and does get the better of Laban with his selective breeding. And consequently has to flee again by night. His beloved Rebecca steals her father’s household Gods without Jacob’s knowledge, and dies, falling victim to his rashly invoked curse (Gen 31:32). As he had deceived his old father, his sons deceive him, breaking his heart with their fabricated account of Joseph’s death. He lives twenty years without his favourite, gifted son. He deceived and was deceived by his three generations of his family. Deceit warps one’s character; the deceivers of the world then practice their evil arts on you without compunction. After that crippling encounter, after he learned his limits, after he sees God, Jacob becomes passive. He gives up his trickiness and scheming, and comes to the end of his life with no more intrigues, no more wrestling. He is now a jellyfish in the stream of God’s will, and God, in painful contorted ways, positions his family smack-dab in the stream of salvation history. Joseph’s son will save his family from famine, will help them become a multitudinous people, and they will return to Canaan with the wealth of the Egyptians. And that long life of wrestling with God and man, all ends well after all. It all ends in worship. It ended well because of the mercy of God. Because what Jacob wanted more than anything was God’s blessing. Because he had eyes to see the thin veil between the worlds, the ladder between heaven and earth with angels ascending and descending on it. The angels were there all along. It took quiet and spiritual eyes to see them. Because he had eyes to see that man in the darkness was God. God was there in the darkness for anyone to see; Jacob had the holy night vision to see him. Because realising that the most precious in life was God’s blessing, he refused to let God go unless he was blessed, even if the cost of that blessing was a limp, a somatic memory of that divine encounter. God blessed him because Jacob asked him to, because Jacob demanded that he did so, because Jacob would settle for nothing less than God’s blessing, because he physically refused to let him go until he blessed him. As God would have blessed anyone who pursued him with the intensity that Jacob did. And so it all ends in blessing. It all ends in worship. The irony in Joseph’s story is that God had always intended to bless him. And if he had waited for God, not taking advantage of Esau, not deceiving Isaac, not seizing an advantage over Laban, God would have still blessed him. Almost certainly sooner. Because God sovereignly chose Jacob seeing in him the toughness, the pertinacity, the God-hunger to be a father of our faith. He had the character of a man of destiny, a man God could use. Eager, hard-working, imaginative, enterprising, thinking out of the box, with eyes to see the spiritual world, to see angels and God himself as only the seers do. God honoured Jacob’s numinous sense of God’s sovereignty, his sense that what was really important in life was that one operate under God’s blessing. Oh may it be so for me at the end, after all the excitement and all the grief; the things I succeeded at and the things I failed at; the things I am proud of and the things I cringe at; the relationships which have endured and the relationships which have crumbled; the times I refused to speak to God and the times I spoke to him all the time; when the evening comes and the sun goes down, may I like Jacob, lean on my staff and worship. Yes, let it all end like this, in worship: I worship you. I worship you because you made me. I worship you because you are infinite, and I love to lose myself in you. I worship you because you are the sea into which I run and sink, tonight and every night, and there I shall find peace, a drop lost in your sea. Let it all return to worship. I am reading through The Book of Genesis. Joseph’s ten older brothers hated him. Of course, they did. The favourite son with the ornamented robe, who told tales on them, to whom they bowed in their dreams–dreams they uneasily sensed were prescient. Eight brothers wanted to kill him. Reuben suggested throwing him into a disused well (perhaps intending to regain Jacob’s favour by rescuing him). Judah suggested selling him into slavery, exchanging a pesky little brother for 20 shekels of silver. Joseph had every reason to hate and fear them. But when they appear, all ten, bowing before Joseph as both he and they had always suspected they would, they are different. They express regret. “We saw how distressed he was when he pleaded with us for his life, but we would not listen,” Reuben says. Twenty years ago he was perfectly capable of going to his father falsely stating that Joseph was dead. He silently observed Jacob’s misery, but did not divulge the truth—effectively ensuring that Jacob did not recover Joseph. Twenty years and fatherhood have softened him. He is behaving like a good son and brother. Forgiving is one thing. Foolishness is another. Joseph forgives, but does not entrust himself to these men who were prepared to kill him. He does not share power with them, or involve them in Pharaoh’s government. He does not invite them into his household. He relocates his brothers a safe distance from him, in Goshen on the outskirts of Egypt. He gives them no opportunity to harm him. He provides for them, but contains them. This too is forgiveness. Be gracious and kind because that is the kind of person you want to be: gracious and kind. But be as wise as a serpent. Frog thinks about this logic for a while and accepts the deal. Takes the scorpion on his back. Braves the waters. When I remember how I have changed from my harsher teens and twenties, I know that people do change. However, without solid evidence that they indeed have changed, it’s best to proceed with caution, being gracious, courteous and gentle as a dove, but, sadly, as guarded, wise and shrewd as the proverbial serpent. People do change, and that is a miracle of grace—but a miracle is just that, a miracle. Do not presume on it! We must seek God on this. Sometimes, keeping the dialogue open with a sincere Christ-seeker I have had differences with clears the air and my heart feels healthier for dropping suspicion and judgement and opening channels of communication. However, my intuitions are often wiser than my mind and conscience. I have often silenced my intuitions about people in the interests of being nice and friendly, and regretted it when words I spoke bounced back to me morphed, when my doings were reported with a malevolent spin. Once you have been betrayed, back-stabbed, gossiped about, you must treat that person with caution. So now, when the spirit within me warns me that I am speaking to someone who envies, dislikes, or resents me, and I have the uneasy sense of being a sheep among wolves, I am wondering it might be best to limit interactions, even in social and church settings.Be guarded in my speech, politely cut the conversation short, and return to safer ground, to people to whom I can be a blessing. This was first hosted at the blog of singer and songwriter Rebekah Gilbert. Thank you! Joseph is seventeen when he sees his sheaf stand up and his brothers’ sheaves bow down. When he sees the sun, moon and eleven stars bow to him. Interestingly, God shows him his destiny, the end of his days, but not what he needs to do to get there. Our lives are full of ironies: There are always two stories going on: what we think is happening, and what God knows is happening, what He is doing. What Joseph thought was happening was pits and the pits—betrayal, slavery, false accusation, prison, being forgotten by those he helped. What God knew was happening: Joseph was developing administrative experience, integrity, trustworthiness, gifts of dream interpretation, people skills. He was being prepared for greatness in the very years he thought were wasted. Slavery to Potiphar, Pharaoh’s captain of the guard, leads to Joseph being put in charge of his household, thus developing the extraordinary administrative gifts he probably didn’t even know he possessed. Unjust accusation and confinement to a dungeon leads to him running the prison, and meeting those in Pharaoh’s circles, learning how Egyptians speak, dress, behave and think. And what was paramount, he develops character—loyalty, diligence, organization, sexual purity. He sheds self-pity and any pridefulness over his spiritual gifts. He learns the great lesson of trusting God. And through an improbable series of events—in line with his seminal gift–God moves him upwards. There is so much stress in our world on hustling and networking. Perhaps too much? Ah, the time we would save if we did our work, our eyes on God, without incessant networking with one another, hoping for a hand up, and a leg up, discovery, and a big break. Cannot God give us all these things as we do the work? I do believe he can and he will, when the time is right. None of the spiritual giants in the Bible networked and hustled to get the word out about themselves. Can you imagine Jeremiah or Isaiah or Ezekiel making nice so people would put in a good word for them with Ahab or the current wicked king? Transcribing what they heard God say made their words special, and God ensured that their words endured. They kept their eyes on God. God promoted them. Is it possible today in the twenty-first century to do the work and leave the rest to God? To let God organize our careers? All those dreadful things that happened to Joseph were, in fact, God organizing his life. God organized that Joseph was bought by Potiphar and learnt to run a country house. God organized that Joseph was falsely accused and learnt to run a prison. God organized that Joseph met Pharaoh’s cupbearer in prison, and validated Joseph by giving him the correct interpretation of the cupbearer’s dream, thus arranging for him to meet Pharaoh. I know many people worried about their blogging or writing careers, worried about getting the word out about themselves. But what if we just did our work, listened to Jesus, and wrote what we heard–could we not trust him to get our words out to whom they might bless? A city set on a hill cannot be hidden. This is something I am increasingly trying to do. I have come to the place where I have no energy to network, nor the temperament to flatter, to pretend to like what I do not like, to maintain relationships for what good the other person might do me or my career. And how could God possibly bless such relationships? I know this is the way the world works, I know this is the way business is done, but might there not be a more excellent way, of loving relationship, not networking; of trust, not hustle? A way of being in which we cannot do better than to leave our careers to him? I do believe it. Joseph had a rarefied spiritual gift: God spoke to him through his dreams, and he could interpret the dreams of others. In the night, which belongs to the Lord, he sees his sheaf stand upright while his brother’s sheaves bow to it. He sees the sun and moon and eleven stars bow to him. He understands that he is destined for eminence. And what should the career path of one destined for eminence look like? Joseph is thrown into a cistern, sold into slavery. He faces humiliation and obscurity. Was his dream delusory? Had God abandoned him? And so the career of Joseph progressed from strength to strength? He had proved his resilience. He had proved his integrity. He now had to be moved upwards from a comfortable small position to a position of even greater influence. 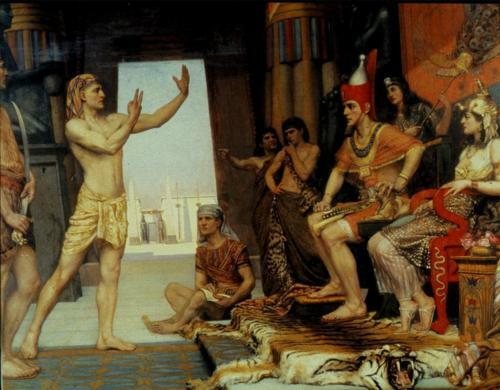 Potiphar’s wife provided the kick with her false accusations. 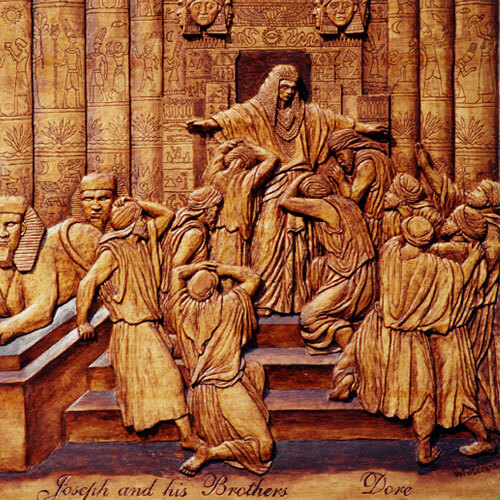 And ironically, Joseph was kicked upstairs into the social circle of those who personally waited on Pharaoh. If anyone had the right to indulge in self-pity, it was Joseph in the dungeon, cast there for his righteous choice. But dungeon was his means of elevation, the pull upwards. While Joseph was there in the prison, the Lord was with him; he showed him kindness and granted him favour in the eyes of the prison warden. So the warden put Joseph in charge of all those held in the prison and he was made responsible for all that was done there. The Lord was with Joseph and gave him success in whatever he did. (Gen 39: 21-23). He asks the cupbearer to remember him, but with self-pity. For I was forcibly carried off from the land of the Hebrews and even here I have done nothing to deserve being put in a dungeon. He has yet to become the steady luminous man whose eyes are on the Lord, who sees everything in life as coming to him mediated through the Lord’s hands, because the Lord permitted it; who knows that the Lord could make him fruitful in the land of his suffering (Gen. 41:52), and turn what his enemies meant for evil into good (Gen. 50:20). Another two years alone in the company of the Lord in the dungeons, and he will approach the interpretation of dreams with humility. His eyes now fixed on God, Joseph is able not only to use his administrative gifts wisely, but also able, remarkably, to forgive his brothers–thus helping to save many lives. I would have expected the life of someone chose, blessed and anointed by God to be marked by happiness, success, prosperity and protection. And Joseph’s life was ultimately marked by all of these things. Nothing can stop you doing the work which God has called you to do. God may have a beautiful plan for your life, but other people may throw you into a well and sell you into slavery. You may do your job brilliantly and be slandered and thrown into prison. You may comfort and help people with your words, but in their season of power they may forget you until it’s convenient for them. But still you will rise. When you let go of bitterness, perhaps. When you forgive. When you realize that all things come from God, your gifts, your health, your wealth, your freedom, your intellect, your very life. Then you will indeed have grown into your destiny. You will have become worthy of it. You will have become one who can “save many lives,” (Gen 50:20). I am grateful to Elizabeth Marshall who first hosted this reflection.